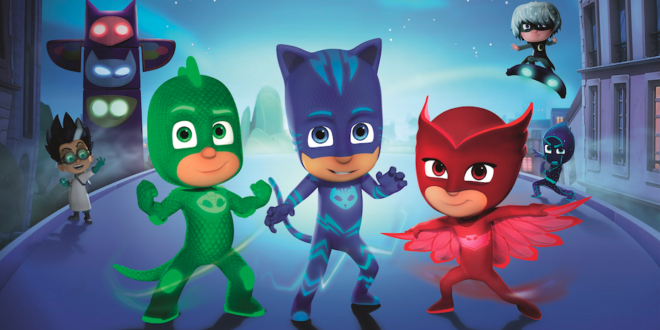 Entertainment One has unveiled a slate of new UK licensees and promotional partnerships for its hit pre-school property, PJ Masks. The raft of five new partners will take the property’s UK portfolio to 34, adding new categories including diecast and roleplay toys from HTI, confectionery from Kinnerton, cakes from Greencore, accessories from VMC and gifting ranges from Kokomo. These new partners will follow a swathe of licensees currently preparing to roll out new product ranges across the UK including Character Options, VTech, Sambro, Blues, William Lamb, Amscam and IG Designs. Alongside the product launches, eOne is gearing up for the brand’s first DVD release, Time to be a Hero on October 30th, coinciding with the launch of a new PJ Masks: Time To Be A Hero app. A whole calendar of promotional consumer activity will also ensue, including this autumn’s PJ Masks Super Dance Party with diddi dance, launched to raise money for the brand’s charity partner, Youth Sports Trust. From October 30th to November 5th this year, more than 600 diddi dance classes will be held nationwide. Entertainment One will continue to drive experiential activity this October half term with a PJ Masks screening party in central London for some of the UK’s biggest parenting influencers. 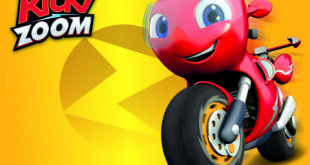 Katie Rollings, head of UK licensing at eOne Family, said: “The strength of our initial retail sales has created huge enthusiasm for PJ Masks and these new partners will open additional retail channels for the brand in the UK.